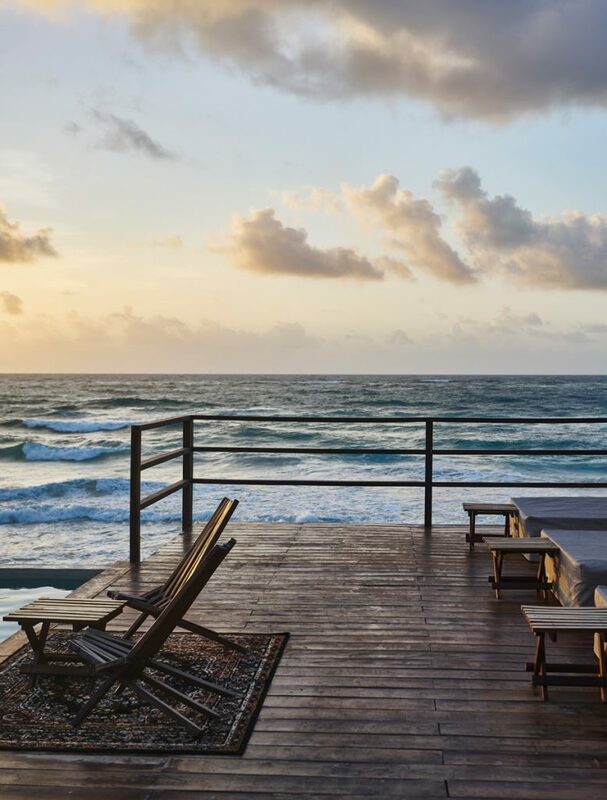 With a hippie-chic complexion, and a gritty sophistication, the Habitas in Tulum, Mexico is a new jewel in any holiday-goer’s crown. Opened last year by owners Oliver Ripley, Kfir Levy and Edwardo Costillo, this paradise-hotel has since enjoyed much hype, attracting famous celebrities, musicians and party-goers. Situated on its own private beach and just approximately 120 kilometres from the bustling Mexican city of Cancun, this piece of paradise is certainly a place that oozes sweet luxury and spicy experience. Designed (and created) by local builders, the rooms are 37m2 of interior bliss, boasting 3.3-metre ceilings, stunningly designed kitchen spaces, private patios and outdoor showers. The three-storey lobby is the central heartbeat of the hotel. Guests can step inside and have a drink in the bar, or dine at the Habitas restaurant, where they can enjoy many locally produced, award-winning dishes by celebrity chefs. 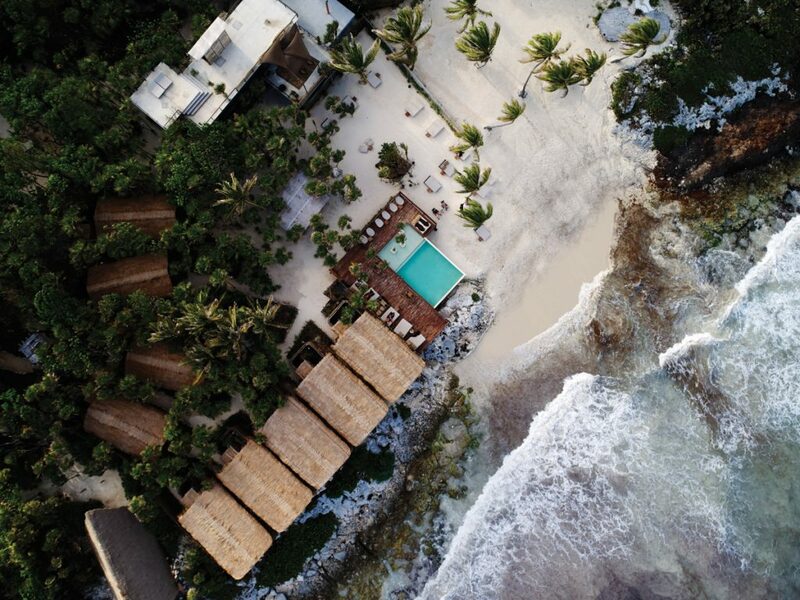 Surrounded by lush greenery, this 32-room hotel, complete with five ocean-rooms and 17 jungle rooms with palapa roofs caters to most visitors’ tastes. The stunning Caribbean sea laps at the door, inviting all guests with its tranquil, topaz blues. 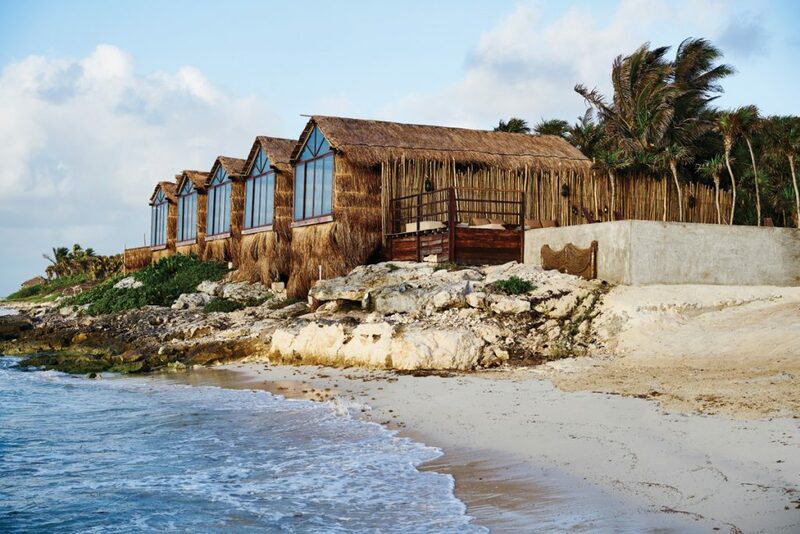 The township of Tulum (though it only occupies one beach road) is known for its appreciation of quality. It even has a weekly market full of homemade goods, foods and beverages, some of which can be purchased at Habitas. The ocean road may be tedious to venture up, but when you get to the end, you can enjoy boutique stores filled with hand-dyed clothing and goods. Rooms at the Habitas are from $300 to $430 a night. Habitas is open all year round. 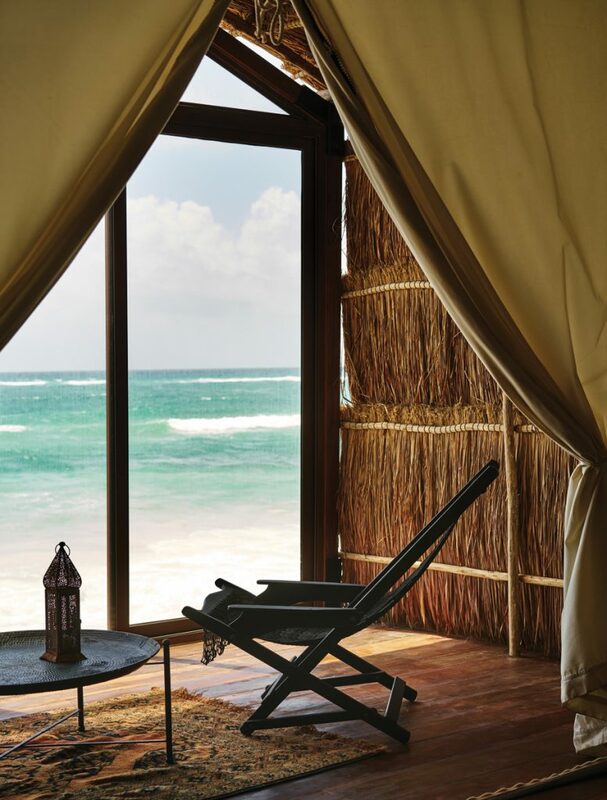 Score a jungle room at the Habitas from $300 a night and an ocean room for $430.